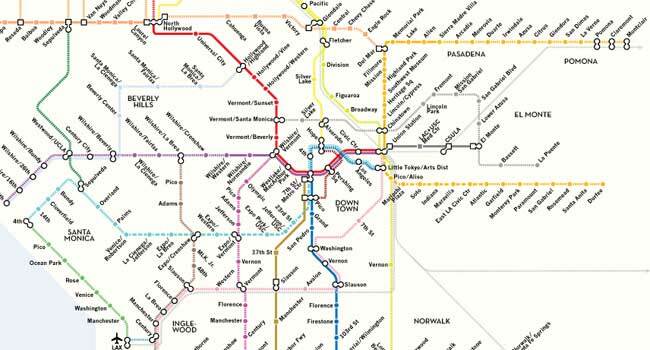 Los Angeles recently embarked on an ambitious plan to build thirty years of transit expansion in the span of a decade. The 30/10 Plan will result in the construction of eleven new lines and rapid transit extensions within a dramatically shortened timeframe. With its completion, Los Angeles will have the second-most extensive rapid transit system in the United States, surpassed only by New York. Two lines are already under construction. New York City recently began construction on the much-needed Second Avenue Subway, which will provide rapid transit service to the East Side of Manhattan and add more flexibility to the subway system. An expansion of the #7 subway line to serve the new Hudson Yards development is also under construction. Our nation’s capital continues to expand its already extensive rapid transit system. The newest line under construction, the Silver Line, will finally connect Dulles Airport into the system. In addition, Washington has an innovative streetcar system under construction, as well as a light rail plan in the works. Portland has greatly expanded its light rail system since it was initially constructed in the 1980s. The Portland-Milwaukie Line is expected to begin construction shortly, and other lines are in the planning stages, including an ambitious plan to expand Portland’s streetcar system throughout the city (an extension is already under construction). Dallas recently embarked on a large expansion plan for its light rail system, the 2030 Transit System Plan. One new line recently opened, and two new lines are under construction, totaling almost fifty miles of new light rail for the city. Chicago Rapid Transit Coalition · RSS Feed · This site is optimized for Helvetica and Webkit-based browsers.